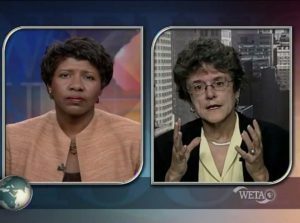 Cathy on PBS News Hour, “What the US Can Learn from Heath Care Abroad,” Oct. 7, 2009. My husband Larry Zacharias and I have been North Amherst residents for over 35 years. Our two children, Josh and Alix Zacharias, thrived in Amherst’s vibrant community and schools. My family and I love Amherst. We have long benefited from our town’s diverse community, vibrant culture and environment of wide-open spaces and farmlands. I am running for Town Council with a commitment to work hard to preserve and enhance the quality of life that makes Amherst such a special place. If elected, I will bring over forty years of experience as an economist and policy analyst, with in-depth knowledge of health insurance and public finance. I graduated from Smith College in 1970 with a degree in economics and later went to Boston College for a graduate degree in economics. Throughout my work-life, I have sought to advance the public good. After graduate school, I joined the Carter Administration’s initiatives to expand health insurance. I then worked for over a decade on behalf of low-wage service workers across the country (SEIU) to save health insurance and support living wages, regularly participating on labor-management committees. Upon moving to Amherst in 1983, I taught at the UMass School of Public Health and Labor Center while continuing to work around the country and in Massachusetts on healthcare and pressing public concerns. In the early 1990s, the UMass’s faculty union (MSP/MTA) hired me to analyze university finances. My analysis helped stop the threat of layoffs and furloughs. From 1993 until I retired in 2016, I led health policy and research efforts for the Commonwealth Fund (a national foundation) to advance health reform (access, cost and quality) and provide evidence of the need for reform by comparing the US with other countries. My ability to analyze complex issues and develop policies helped build momentum for change. My study documenting how many people with insurance could not afford to get sick brought national attention to the “under-insured” and the need for reform. Through international comparisons, I helped document how poorly the US compares and highlighted policies in other countries that provide insurance to everyone at lower costs. State and local health-system scorecards I developed enabled US communities to compare and track access/affordability quality, health outcomes, and costs. To tackle health care costs, I led a team that provided a blueprint for Congress that would have built on and expanded Medicare to slow the cost growth for everyone. Since the Affordable Care Act passed without a public plan, I have continued to develop options that could build on and strengthen Medicare. Having recently retired, I have the time, skills, and energy to serve on the Town Council. I have an ability to analyze complex issues, data and information that fits well with immediate and longer-term fiscal challenges facing Amherst. I take the time to research, ask for alternatives, and think through budget implications, with an emphasis on multi-year estimates of projected revenues and costs. My knowledge of health insurance and health care costs will enable a direct connection to efforts at the State level to promote reforms that would ease pressures on Amherst. From years of working with people from multiple perspectives, I have skills to listen well, ask questions, collaborate, and build consensus. I value and work well in teams. As a long-time resident of Amherst, I know we have a wealth of people with skills, knowledge and a depth of experience to contribute. I am open-minded and able to think-outside-the box to come-up with creative solutions. If elected, I will be new to Amherst Town Government. I will bring a fresh perspective and commit to being an independent strong voice on behalf of the diverse Amherst community, with attention to the specific needs and aspirations of North Amherst District One.